Early in the season, many other 5A teams in Monsignor Pace’s regional were salivating over the idea that Pace, with all of their talented players, were struggling to find a rhythm and a cohesion. 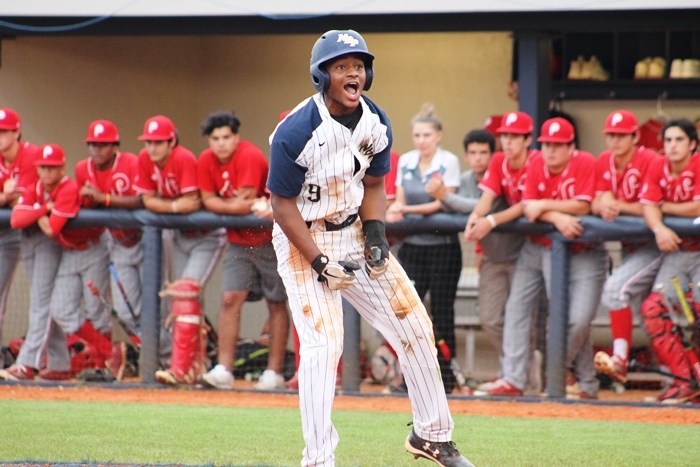 On Tuesday night, the Spartans had the last laugh, as their bats exploded for 10 hits and 10 runs in a 10-4 regional final win over North Broward Prep that sent Pace back to the state championship series after a year hiatus. What came together on Tuesday were the Spartans bats. Sammy Infante started the adrenaline rush that came out of the Pace dugout all night long with a home run in the first inning. In the third, Mike Montes and Kenny Gonzalez hit back-to-back blasts, and the offense cruised from there. 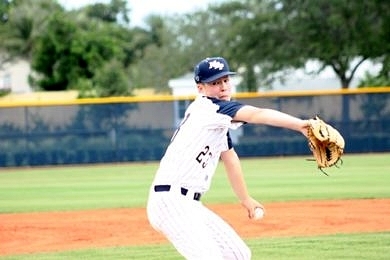 Coming in, it appeared as though the game would be a pitchers duel with North Broward’s Parker Foss and Pace’s Victor Mederos. That duel never materialized, as the teams put up a combined eight runs in the first three innings. Despite the 5-3 Spartans lead after three, both managers thought their pitchers threw well. For Eagles Manager Brian Campbell, the game came down to some simple. The game might have grown into a complete shootout if not for Pace reliever Luis Gonzalez. The senior came in, and while giving up a solo home run to Xavier Edwards that cut the lead to 5-4 in the fourth, struck out 13 of the 18 batters he faced. The Spartans offense received support throughout the lineup. Eight of the nine starters had hits, and all nine reached base safely. 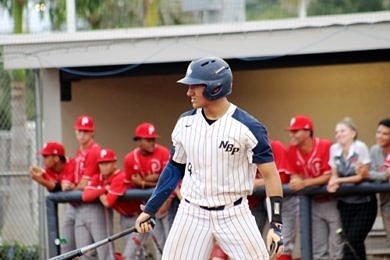 Nine-hole hitter MC Sagaro had one of the biggest hits of the night, a double to lead off the third inning with the score tied 2-2, when Pace took the lead for good with the Montes and Gonzalez homers. That run includes Pace winning 12 in a row and 13 of their last 14. Up next for the Spartans is a return trip to Fort Myers, as perhaps the hottest team going to states. The past two times Pace has been at states, they have come close to winning a state title, but had their seasons end in dramatic heartbreak fashion. Still, Duffin does not see a need to do things differently this time around.